Manufacturer & Supplier of Reactor. 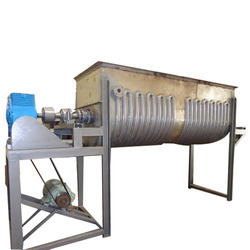 Our product range also comprises of Continues Ball Mill, Ice Crusher and Air Classifier. We are a trusted name in the industry for manufacturing and supplying Industrial Reactor, which is used for hosting chemical reactions in the pharmaceutical, chemical and mineral ore industries. The offered reactor is safe to use, sturdy in housing, made from high grade of material and is leak proof as well. It is easy to install and is energy efficient. We are well equipped for handling bulk orders owing to our warehousing.